Falkirk is a town of around 35,000 people in Stirlingshire’s Forth Valley. Its wider local authority administrative area takes in nearby towns including Grangemouth and Stenhousemuir. An attractive town with an industrial past, it’s home to the Falkirk Wheel, which transports boats between the different levels of the Union, and Forth & Clyde canals. Among the residents of religious faith, the largest Christian denomination is Church of Scotland, with local places of worship in Falkirk also including an Islamic centre. 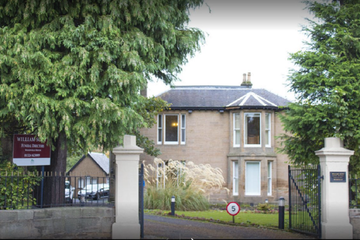 There are five funeral directors in Falkirk town, with more located in and around the local area. Falkirk Registration Office in the centre of town deals with the registration and the issuing of death certificates. In Scotland, a death must be registered within eight days of someone’s death. Falkirk Council looks after one crematoria and 13 cemeteries open for funerals, burials and the interments of ashes. Funeral directors in Falkirk can help you with the purchase of a lair or half lair (grave) for the burial of a loved one, or interment of their ashes. All purchased lairs in Falkirk’s cemeteries are owned for a period of 100 years. 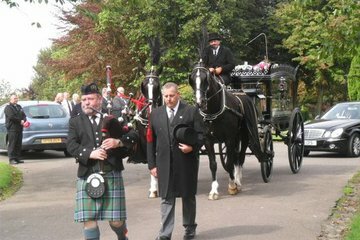 Search for Falkirk funeral directors now to find funeral homes near you. You can filter search results by best rated, most reviewed or nearest to you. Click on a funeral director’s listing to see their profile page, where you can read independent customer reviews, search for recent obituaries, and learn more about the services Funeral directors in Falkirk can offer you.